The project for live electronic exchange of data between courts and the police, under the Inter-operable Criminal Justice System (ICJS), was launched on December 15, 2018 in the State of Telangana at Warangal. 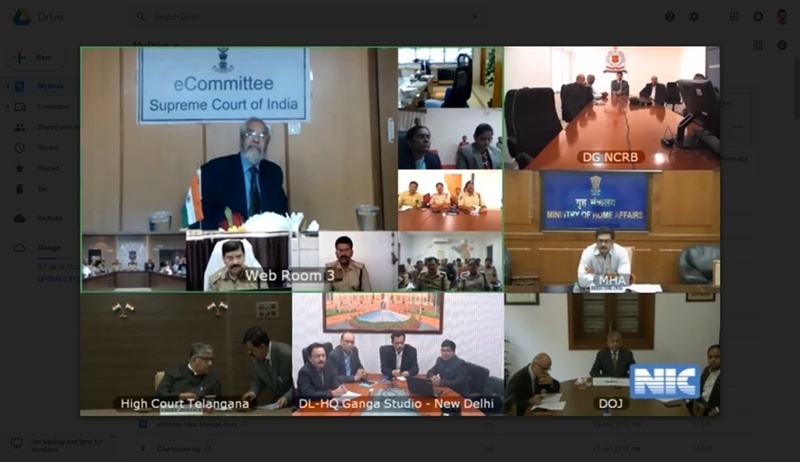 The project was inaugurated through video conferencing by Justice Madan B. Lokur, who is the Chairman, ICJS and Judge-In-Charge e-Committee, Supreme Court of India. During the event, a live demo of data exchange from Subedari Police station, Warangal to Principal District Court, Warangal was demonstrated. Also present were Chief Justice of the Hyderabad High Court, Dr Alok Srivastava, Secretary (Justice) of the Government of India and the Director General of Police, Hyderabad. While speaking at the occasion, Justice Lokur acknowledged that this electronic data exchange will reduce huge amount of workload for court staff and police. Further, Dr. Alok Srivastava, Secretary (Justice) lauded the project as revolutionary. The project will allow police officials to send FIR and chargesheet to courts electronically. The court's software will fetch names of the accused, victim and witnesses and their details, and name of the investigating officer. In reciprocation, the court will send the CNR Number link to the police. The link of CNR number will give them all the details of the case— parties, advocates, date of registration, first hearing, next hearing date, the entire history of the case and the business recorded in the court. This will reduce the data entry work for the court staff and the police to a very large extent. The police will continue to receive updates, along with all the details of the case, until the final termination of the case. Both the system will be able to get real-time updates. Auto-generation of processes and its electronic transmission will be done in second phase. System can easily monitor under trial prisoner with correct and updated information. Both the system can get alerts about the period of detention undergone by the under trial prisoner. Absconding accused and accused on proclamation and non bailable warrants can now be brought to justice more effectively and quickly.